This is a test for the people who read Tara and Tiree`s story with her/his students. The above downloadable teaching material was created for high school students and elementary school students at Beginner (pre-A1), Elementary (A1) and Pre-intermediate (A2) level. 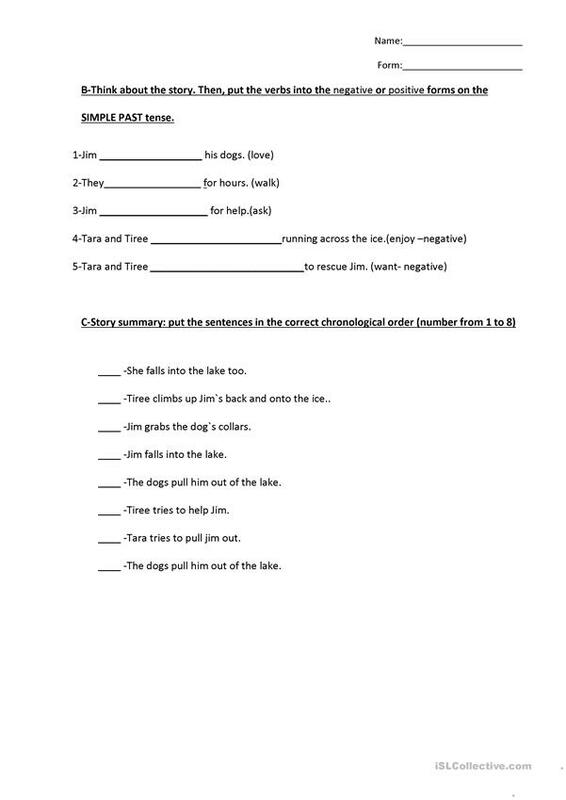 It is aimed at teaching Past simple tense in English, and is excellent for developing your class' Reading and Writing skills. It centers around the vocabulary topic of Actions. sofiaruizmoreno is from/lives in Argentina and has been a member of iSLCollective since 2012-03-12 20:44:46. sofiaruizmoreno last logged in on 2013-06-28 03:32:23, and has shared 19 resources on iSLCollective so far.